Cruises to Nowhere are exactly that – a cruise that doesn’t actually go anywhere. If you think the best part about a cruise is life on the ship, a cruise to nowhere may be exactly what the doctor ordered. 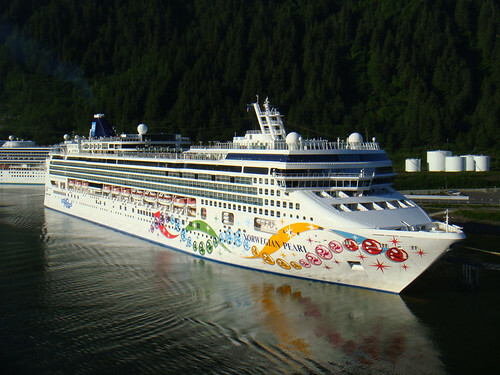 Cruises to nowhere let you enjoy life on the ship without the extra hassle of entering into any ports. With the size cruise ships are today, you could easily fill your days with activities on the ship and many cruise lines are catering to this type of customer. Cruises to Nowhere are often cheaper because you don’t have to pay any docking or port fees, which can get quite expensive if your ship docks in numerous ports. They’re also cheaper because they’re shorter, no more than two or three days, so you don’t get sick of being on the ship even though that’s exactly what you signed up for! I’ve never gone on a cruise to nowhere and I’m not entirely convinced I’d enjoy them, as I get bored quickly with things, but sometimes you need a getaway and you can’t really beat the deals you get on these types of cruises. I recently found a “Cruise to Nowhere” on Norwegian Cruise Line on the Norwegian Pearl starting at $149 for a quick two night cruise to Great Stirrup Cay. On that particular cruise you do go “somewhere” but with only a day in Bermuda it’s more cruise than land. What makes these deals even better is that they count as sailings towards your cruise loyalty rewards program. Need a few more sailings before you get to the next tier in the Carnival Past Guest loyalty program? Hit up a cruise to nowhere. Not a bad deal if you want a quick getaway on the cheap and have the cruise bug!